This time I've been out and spent my own money. Rather, I've been upstairs to the computer and spend my own money. I hardly ever buy in real live fabric shops because the choice is so much better online and I can browse the UK and the US all in one go. One of my favourite fabric lines for a while was Lily Ashbury's Trade Winds collection but I only discovered it when it was pretty much all gone. 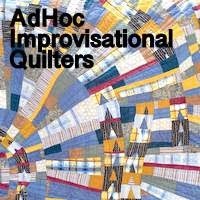 I bought some in a sale and it became Eden's quilt but wished I'd bought some of the other fabrics in the line. However I occasionally trawl around looking for it and this time I succeeded and scored these. If I had a happy fabric dance, I would have been doing it when they arrived. I really love Lily's bright clear colours too...but there are only so many quilts Little One Wee Bird needs....aren't there??? Very, very pretty. 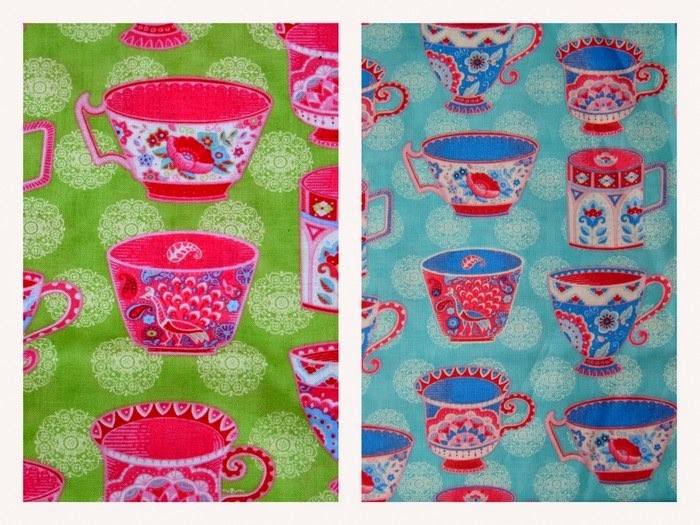 I adore fabrics with tea cups. I have a Tilda one I'm planning on using for making... a fabric teapot! I am Loving those teacups Kaja! Love the bright colors - esp. since I'm looking out the window at a dreary Sunday! Those are lovely, and cheerful fabrics. I love the international flair and can see them incorporated in many different designs. Oh, these are fab! Regal somehow with mystique. Love the bright cheerful colours. Teacups have been a favorite of mine for a long time, although I've moved away from them for a while. Mostly so I could use up some stash fabrics and save a little cash. Maybe it's good for me that you've bought everyone out! As it is, I almost can't stand the temptation to ask where you found these....no! don't tell me! I'll have to wait to see what you do with these pretties. More fabric is not in my very near future. Oh, but I really like the colors and the pretty curves.